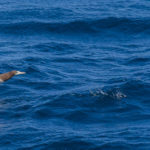 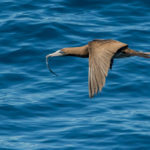 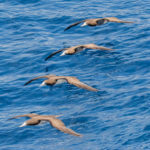 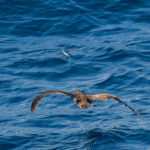 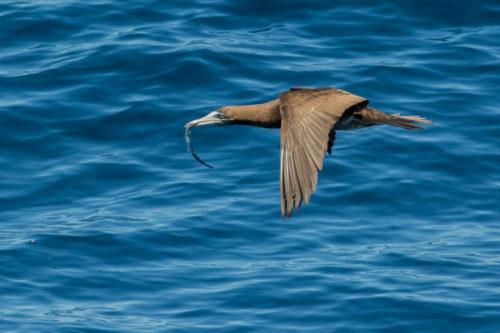 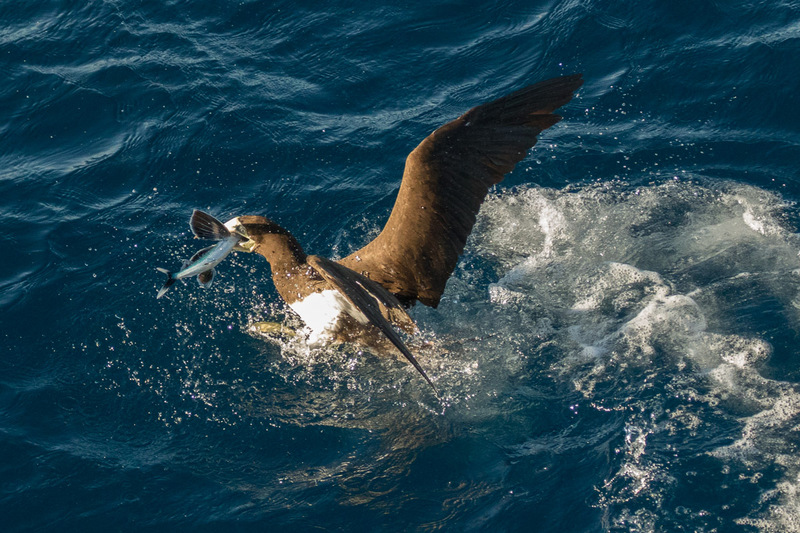 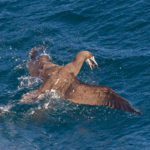 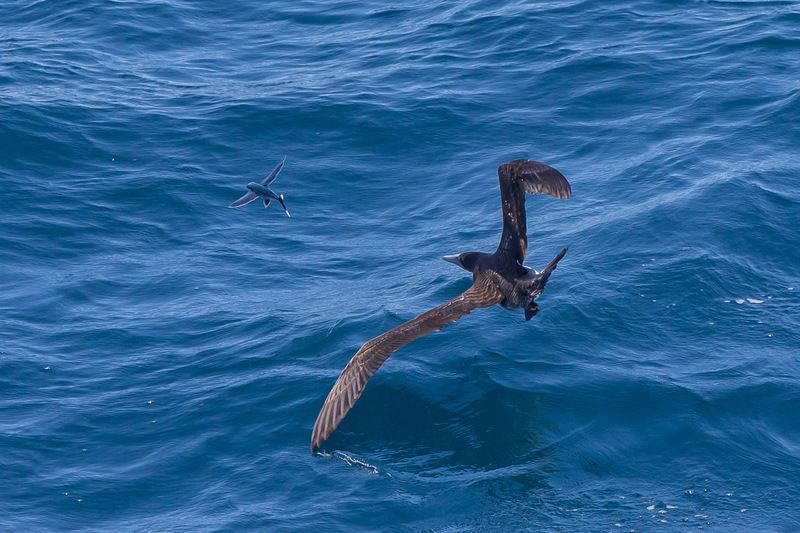 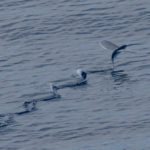 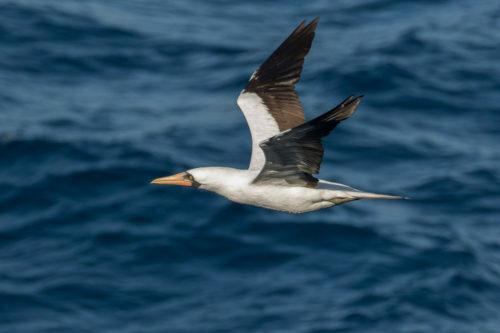 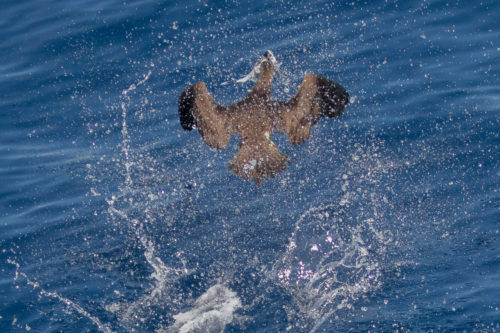 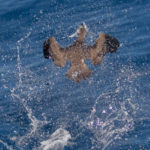 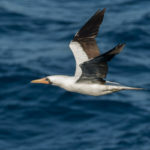 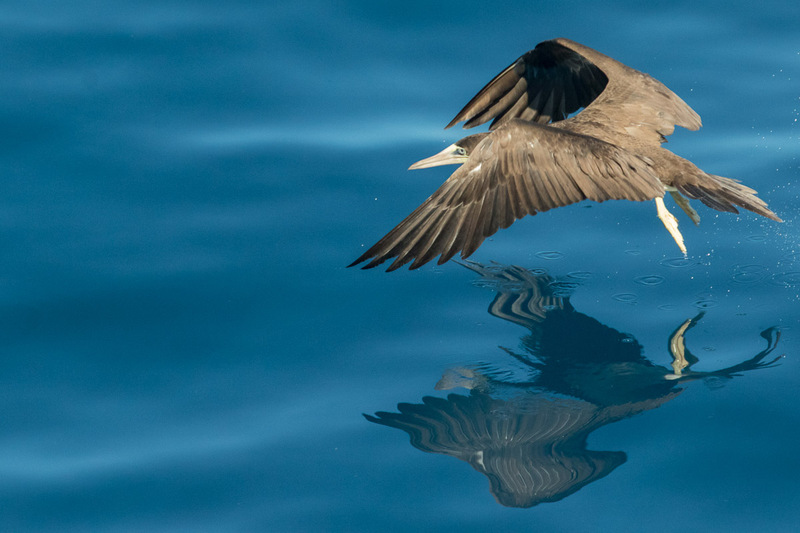 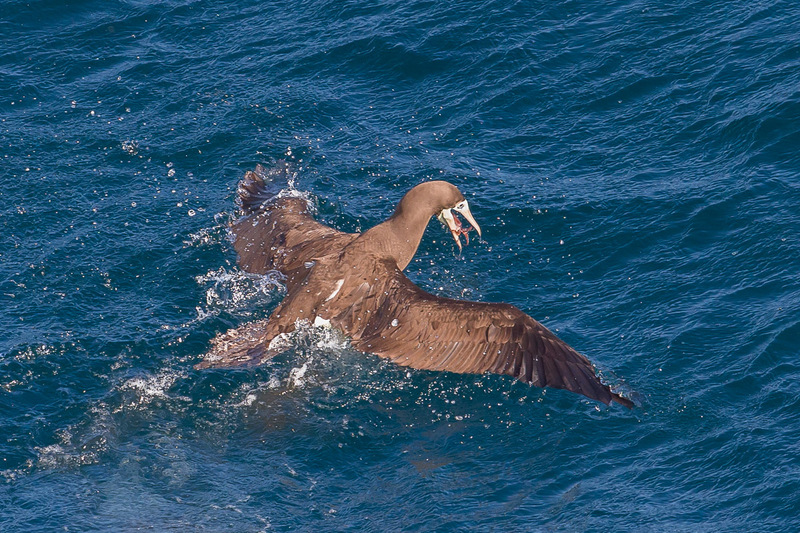 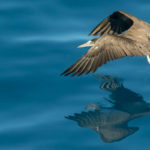 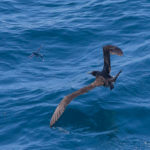 In the eastern North Pacific, brown and the occasional masked boobies gorge themselves on the plentiful supply of flying fish and squid, disturbed by the ship. 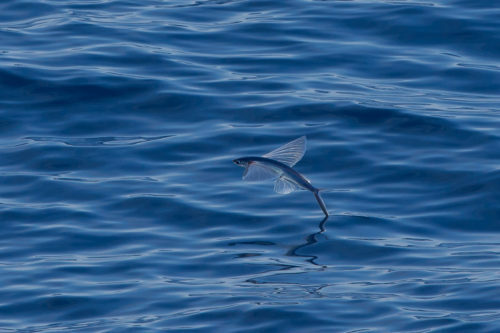 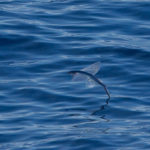 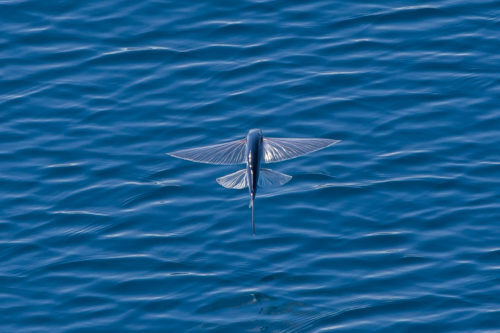 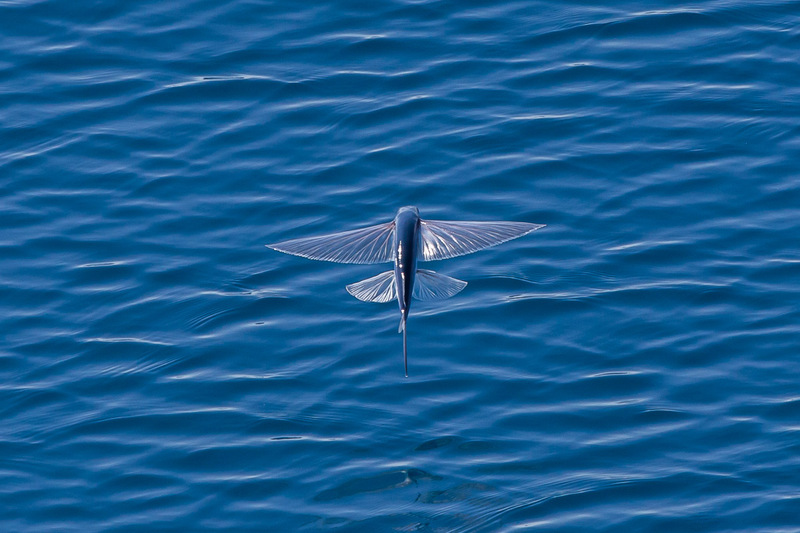 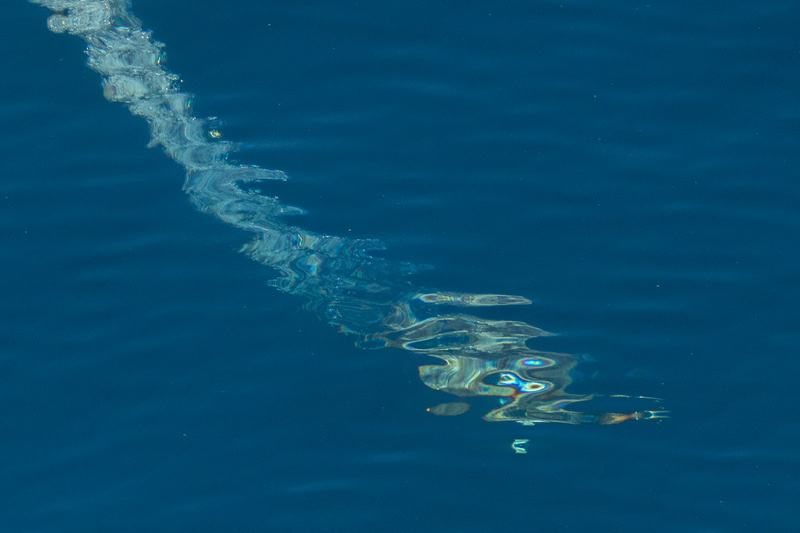 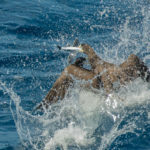 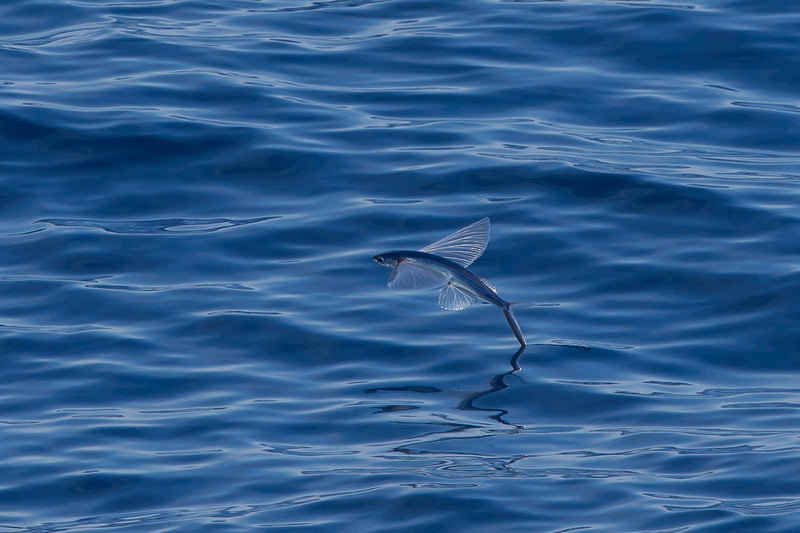 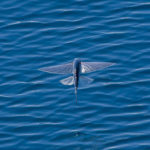 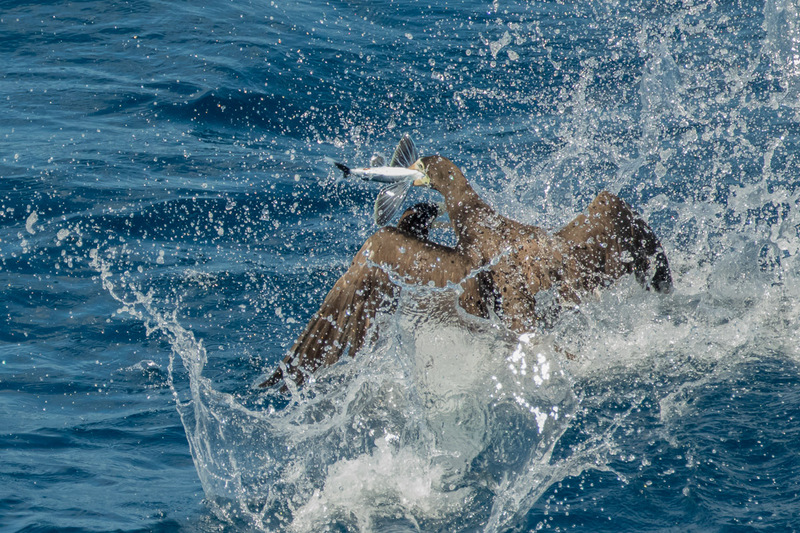 Flying fish try all kinds of tactics to evade capture, using their tail fins to propel them into the air and then diving back into the water as the bird approaches. 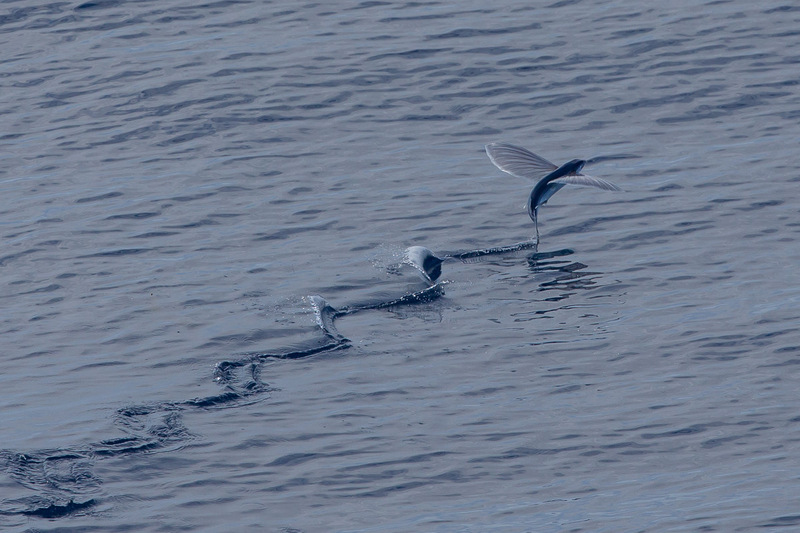 The boobies have to try and outsmart them in and out of the water. 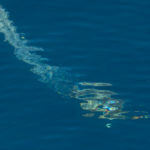 Fortunately, the boobies are adept at diving and swimming, as can be seen from the colourful shape speeding through the ocean. 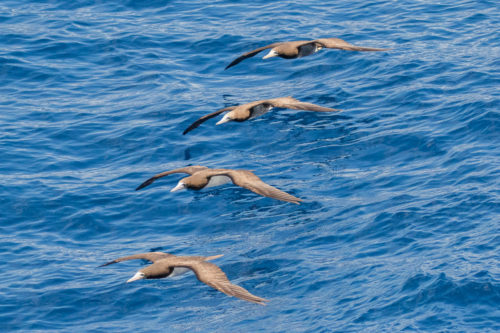 As they are not picky, the boobies will also feed on anything else that dares to swim too near the surface. 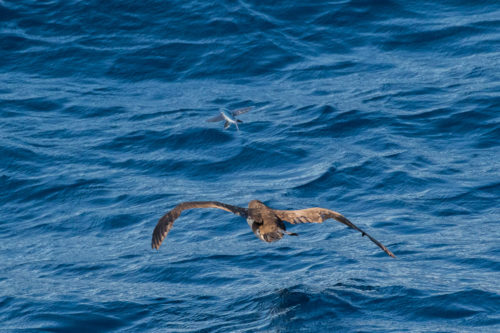 One such bird seems to have a needle fish.